Studying the effect of cysteine bridges on different energy levels of multistage folding proteins will enable a better understanding of the process of folding and functioning of globular proteins. In particular, it will create prospects for directed change in the stability and rate of protein folding. In this work, using the method of differential scanning microcalorimetry, we have studied the effect of three cysteine bridges introduced in different structural elements of the green fluorescent protein on the denaturation enthalpies, activation energies, and heat-capacity increments when this protein passes from native to intermediate and transition states. The studies have allowed us to confirm that, with this protein denaturation, the process hardly damages the structure initially, but then changes occur in the protein structure in the region of 4–6 beta sheets. The cysteine bridge introduced in this region decreases the hydration of the second transition state and increases the hydration of the second intermediate state during the thermal denaturation of the green fluorescent protein. Original Russian Text © T.N. Melnik, G.S. Nagibina, A.K. Surin, K.A. Glukhova, B.S. 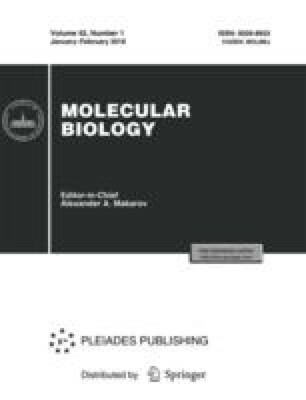 Melnik, 2018, published in Molekulyarnaya Biologiya, 2018, Vol. 52, No. 1, pp. 88–97.